It will be a week now since I came back from my vacations at Clubmed Kemer with a group of friends counting 10 people, including me. Believe me, it is not easy to write about it and I have postponed it as much as I could. Because I feel like the memories will fly away from my mind while writing this down—it’s like one of those things that happen to you that you want to keep to yourself. Please no offense taken. I want to keep to myself the stupid fights we picked in the group, the endless laughs we had together and the jokes we made to one another (I’m noot unleashing anyone here, just take a trip with us and you’ll see!). I want to keep to myself the memorable, unique, and unlikely circumstances in which I met people!—This happened several times and once when I was in the corridor ironing my red dress for the Turkish night that got badly creased in the luggage; I had a towel on my head wrapped around my wet hair and no make-up on… a guy took notice of me while he was in a hurry jumping the stairs to get to his room and get ready for dinner. You will never guess what happened next… he got me his unwrinkled T-shirt (I burst out laughing inside of me) and asked me amusingly to iron it for him. So we chatted about how screwed you are in Kemer if you don’t speak French—he didn’t—because the greater majority of the vacationers in Clubmed are French and they only speak their own language. It wasn’t too easy for him to meet people. Yes and everyone there was impressed how Lebanese spoke Arabic, French, and English, even at the same time—when the curious French people came up to us to ask us where we come from, after having eavesdropped on our conversations, (But I must say we were also terribly loud), because they only understood a few words of French but then, they were so damn lost concerning the rest of the words that sounded not a bit familiar. 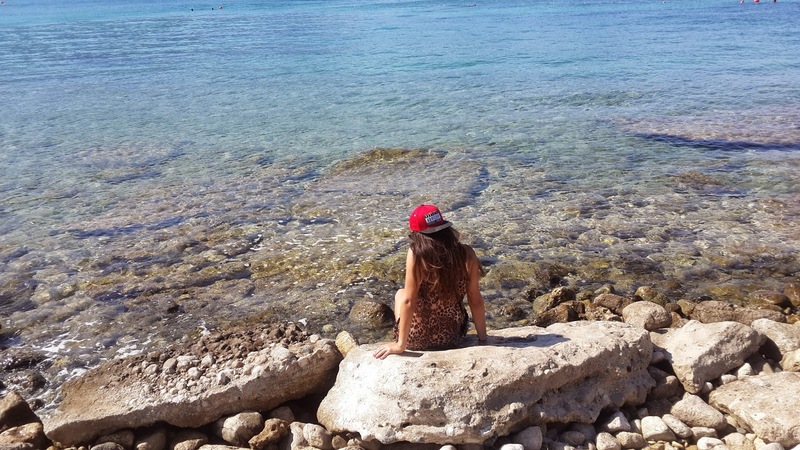 Likewise, I want to keep to myself the unforgettable faces I met during my trip and the diversity of cultures present in Kemer, that you could not otherwise be exposed to in Lebanon due to geopolitical issues or political instability. I want to keep to myself the rushing showers we took before dinner, the long stares while walking in the buffet for my usual lateness but looking good to compensate, and the shameless sneaking of rose wine bottles from the buffet because the vodka was otherwise bad (yeah we certainly felt "badass" doing that but wait it was not forbidden, it was within allowable and easy reach). I want to remember sunbathing in the amazing clean and warm water of the sea near the painful and slippery stony beach and all the times I promised to myself I was going to go to any of the fitness sessions during the day—but lazy me never did. I want to remember how we ran away from the photographers when they were inciting and insisting on taking us pictures when we were urgently heading to someplace, but then, how we would hopelessly look everywhere for them when we wanted to take a photoshoot. I want to keep to myself the anticipation we had for the next day activities and the night party, yet, not so much enthusiastic because we knew it meant a day closer to the end of the trip. I want to remember the countless Bonjour I got while crossing path with the forever young and hyperactive GO (the “gentils” or nice organizers). Most of all, I don’t want to forget the last night we didn’t sleep in, the night swim in the sea, and the enchanting sunrise I witnessed as I was walking back to my room barefoot—to sleep a couples of hours before leaving for the airport on a sad Saturday morning. But there is only thing that I regret, which I want to forget instantly. 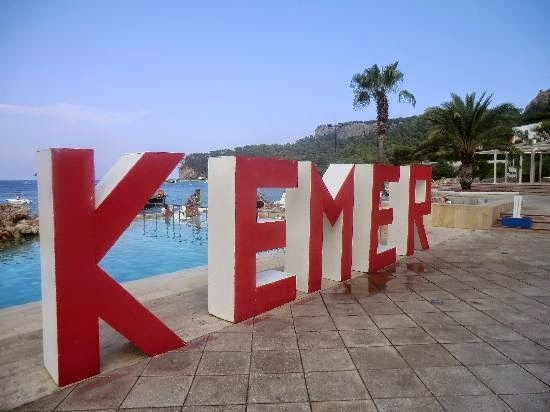 I don’t remember how we did not take a picture with the KEMER logo because it was planned ahead of the trip, yet we kept on procrastinating it. Until next time, I will say, because there will be one.